A horses' behaviour is what makes them unique - naughty, cheeky, easy to work with, or a bit of a handful, we can't help but love them all! Take our Personality Quiz below to see what personality type your horse comes out as! 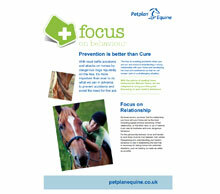 There's more to behaviour than your horses charm, and understanding your horse helps you keep him healthy and stress free - see our free PDF guide for more information on how to read your horses behavioural cues.